We just re-launched our website with new tools for you to buy, rent or sell your home. We recently launched a new website. Homicity has now a new look and new features available for anyone looking to buy or rent a home. With our new platform, searching for a home is easier thanks to our new city and neighbourhood pages. City pages are real estate guides to the major cities in Canada. 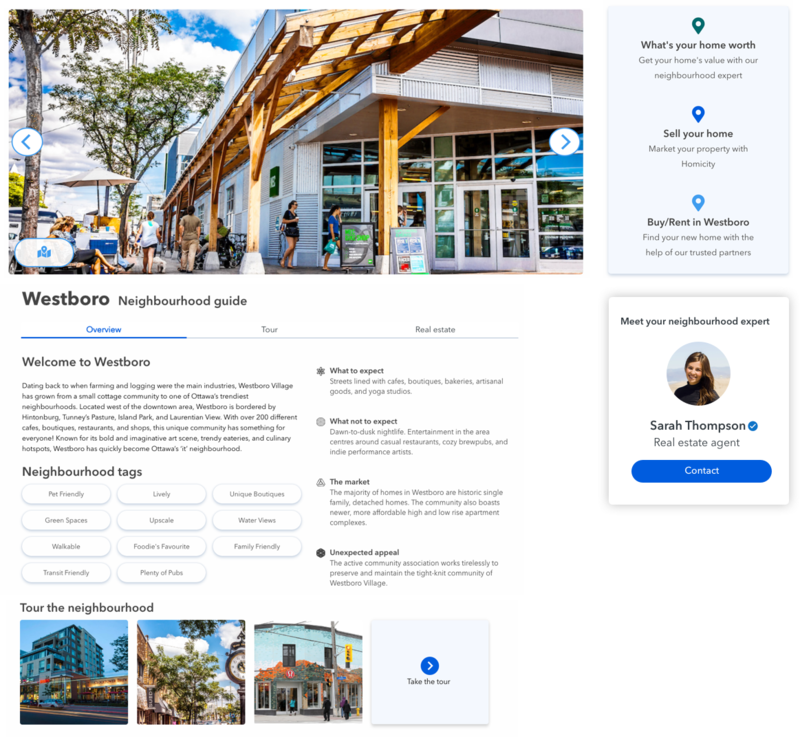 In every city page, you can get an overview of what the city offers from the market to the lifestyle of their residents. A home is more than a property, it also is the community that surrounds it. We provide insights for neighbourhoods for you to find the perfect home in the perfect location. Our neighbourhood insights give you a quick sneak peek of what the neighbourhood offers. From what you can expect to things you’ll love, the insights you need are on Homicity. In every city and neighbourhood page, we bring you new tools to find or sell your home. Real estate agents can advertise their services on neighbourhood pages. Our platform connects buyers, sellers, homeowners and renters with local agents to help you double your exposure and grow your business. Learn more about Homicity for agents.